Eliot was elated to start working on his new program. He walked to his usual coffee shop, with his laptop and notebook at his side. He was deep in thought, pondering the graphic user interface he would need. Eliot liked this coffee shop because it was a quiet spot on a busy corner. It had a relaxed atmosphere and made for a peaceful workspace. Ever since he began his new job working for Microsoft, Eliot was able to work from home. Only, his home was always too messy, or not comfortable, or his roommate was too loud or his cat got in the way. So Eliot chose to go to the quaint little coffee shop to work. He always sat at a smallish table at the front on the right of the window. There was a bookshelf behind him and the door in front of him. He would watch the people on the street and the people who came in. Eliot was always very careful not to be a bother to anyone. He always cleaned up after himself and left a three dollar tip. The ladies who worked at the coffee shop loved him. He was good for business and had a charming smile. They brought him refills and let him taste the chocolate chip cookies. He had even met the general manager once when she stopped in for a routine visit. A bell on the door jangled cheerfully as Eliot entered at his usual time, 9:00 AM exactly. He walked straight to the counter. The small woman behind the counter was chatting on the phone, but quickly put it down when she saw him come in. “Hello Eliot!” She said chipperly, “Here’s your usual.” She handed him a large mug filled with warm hot chocolate, a swirl of whipped cream and one shake of rainbow sprinkles. He pulled out three dollars and seventy-six cents and put it on the counter. He smiled and nodded at her thankfully. She smiled back. He took the mug carefully with two hands and began to walk to his usual spot. He stopped in his tracks. Someone was in his spot. A tall man with strangely bright purple socks and a woman with dolphin earrings sat unwittingly in his cozy window seat. They were deeply engaged in conversation and did not notice him staring at them, trying to process what was happening. He had never sat at any other table, and he simply did not know what to do. He felt anger forcing its way up his throat. He swallowed hard trying to win control over his emotions. He took slow, deliberate breaths. His chest quivered with each inhale as he struggled to stay calm. He began to sway back and forth gently. He pulled a rubber band out of his pocket and began fidgeting, weaving and stretching it between his fingers. The girl behind the counter noticed something was wrong. She came over and kindly put her hand on his shoulder and asked, “Is something wrong Eliot?” Eliot shrugged her hand off and shook his head slowly. He muttered quietly under his breath, “No no no….” and shook his head slowly. She followed his gaze and saw that his table was taken. “Oh,” she said nodding understandingly, “come over here, you can have this table,” She leads him to a quiet table in the corner at the back of the cafe. Eliot recoiled at first but then accepted and moved slowly towards the other table. Eliot set his hot chocolate down and sat at the table numbly. He gazed blindly into space trying to process this turn of events. He already decided he did not like this spot. It was dark without the natural light of the window. He could only see half of the coffee shop and the people moving about behind him unnerved him. It was too close to the speakers so the music was loud and drowned out his thoughts. He couldn’t see the door unless he craned his neck at an awkward angle. The table he sat at was wobbly and the chair squeaked. He did not stare directly at the couple but watched them out the corner of his eye. Eliot eventually gave up spying on the intruders and pulled out his laptop. He went to plug in the cord but there was not a close enough outlet! He got up and searched for a nearby outlet. He eventually found one but only after having to reposition himself so the cord reached. He pulled out his notebook and spread out his papers. This table was only a tiny bit smaller than usual, but it still managed to throw off the way he was used to setting his papers up. He sat back frustrated and heaved a heavy sigh. He glanced over at his spot wistfully but the couple hadn’t budged. He was going to have to deal with this change. He took a sip of his drink and settled down for a long day. It had been three hours and Eliot’s schedule was still thrown off. He had only accomplished one task on his to-do list, and it had taken him twice as long as it should have. His usually hyper-productive work day had been thrown into confused turmoil. He thrust his head into his hands, overwhelmed with frustration. When he looked up, he spotted a girl with long red hair, maybe a bit younger than him, looking his way. She had an angry, almost betrayed look on her face. She ordered a banana nut bread muffin with peppermint tea and walked past him with a look of dismay. 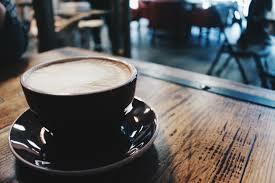 She looked around the coffee house and finally decided on a table against the wall. She squirmed in her seat, obviously uncomfortable, but eventually settled down and opened a rather large book. So Sheldon! I love the way you subtly allude to Elliot’s neuro atypical state. Can I go ahead and ship Elliot and the red head? So who’s seat did the red head take!! And so on, and so on. Great imagery- I found myself feeling a bit uncomfortable myself. Captivating! I look forward to the next installment! Good job – you have a great way of painting a picture with words! Oh my goodness! I’m hooked! And left hanging!,,, can’t wait for the next part…. Ha ha XD Glad you liked it! That sounds like an awesome novel!